As builder designers you may think that your responsibility does not include the design of height safety systems. Inclusion of this generic clause in specifications, "Provide compliant roof safety system to Australian Standards" is common practice and many designers believe that this adequately removes their liability. However, would you be surprised to learn that this may not necessarily cover you or your team should the systems in your designs be involved in an incident or prove to be non-compliant? The designer must ensure, so far as is reasonably practicable, that the plant, substance or structure is designed to be without risks to the health and safety of persons who carry out any reasonably foreseeable activity at a workplace in relation to inspection, operation, cleaning, maintenance or repair of plant. The Work Health and Safety Act 2011 (the WHS Act) provides a framework to protect the health, safety and welfare of all workers at work. It also protects the health and safety of all other people who might be affected by the work. 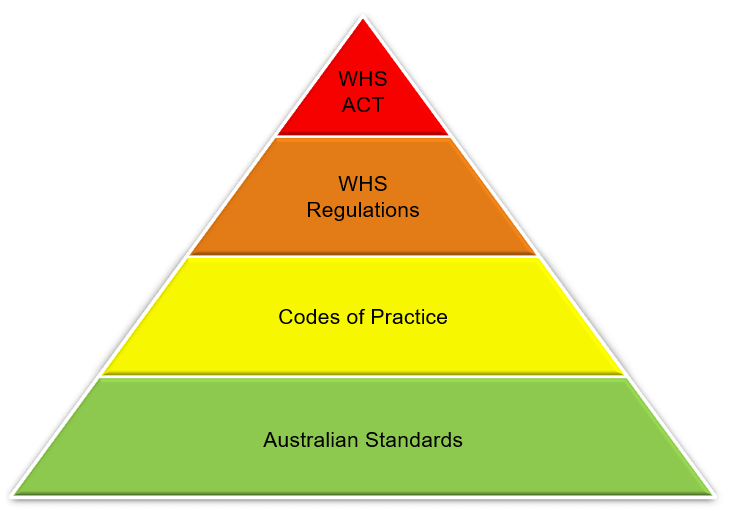 The model WHS Regulations set out detailed requirements to support the duties in the model WHS Act. Codes of Practice are practical guides to achieving the standards of health, safety and welfare required under the WHS Act and the WHS Regulations in a jurisdiction. For links to Codes of Practice refer to our Industry Information page. Standards are published documents that are designed to provide guidance to help ensure safety, performance and reliability through the specifications of goods, services and systems. There are Australian and international Standards, as well as standards developed by certain regulators, and industry standards developed by professional industry associations for the purpose of maintaining a standard in performance for the particular activities within the industries. For copies of current Australian Standards go to SIA Global. 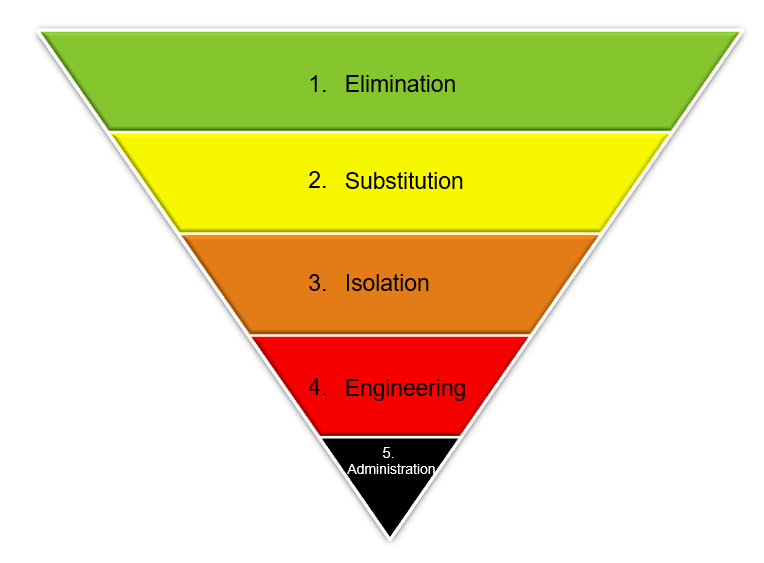 Design of access and fall protection systems is governed by the Hierarchy of Control for Working at Height. More information on the Hierarchy of Control for Working at Height can be found on our FAQS page. It is important to note that even once selection has been made, each type of access and fall protection method has its own specific requirements according to the relevant Standard it falls within. 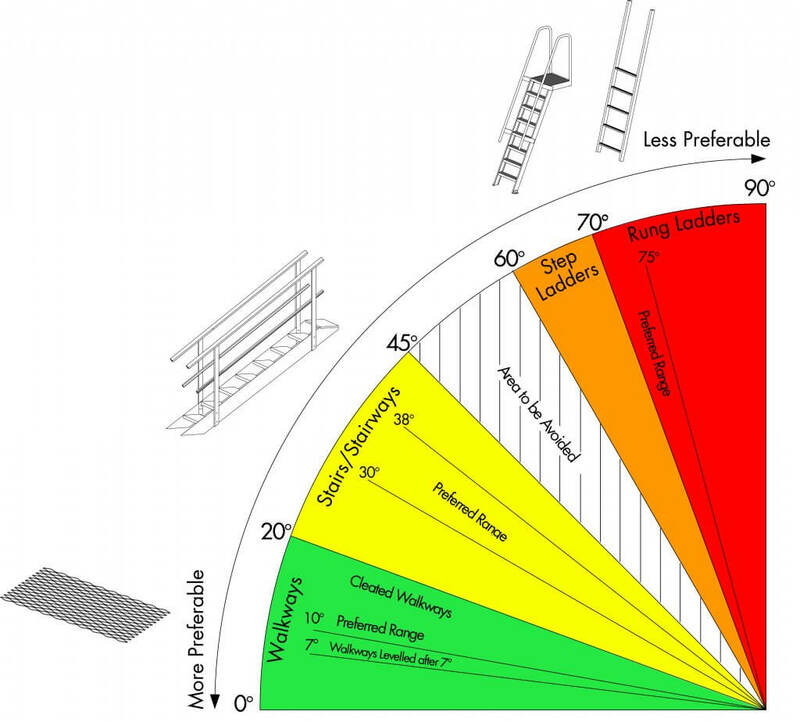 The diagram below is an example of selection criteria that needs to be considered when specifying and designing walkways, ladders, steps, stairs and ladders which are all covered by the Australian Standard AS1657:2018. Other crucial information that may impact on the choice of equipment is frequency of use and operator competency. Selection of the correct equipment is vital but systems also need to be positioned according to Standards, WHS Regulations, Codes of Practice and the manufacturer's guidelines. Correct placement of anchors, static lines, guardrail and other height safety equipment is integral, and the complexity of design can vary greatly from one product to another. 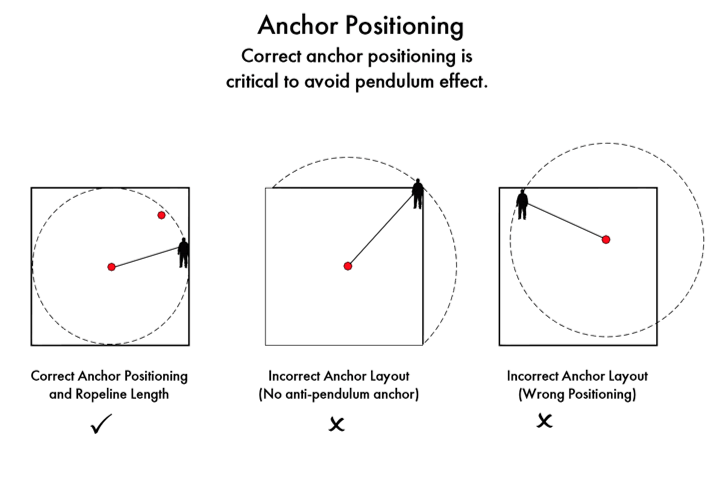 For example, the below diagram illustrates the correct placement of anchors to avoid pendulum effect, which can be a major cause of injury should a fall have to be arrested. What does this mean? Put simply, it is no longer adequate to put generic phrases into specifications. You must have actively ensured that the access and fall protection systems on your building designs are compliant and fit for purpose. If you do not have the necessary knowledge of the regulations it is often better to consult a height safety specialist who can assist with the design to ensure that you are fully meeting your obligations. Why not test your knowledge now by taking our quick Height Safety Design Quiz. You may be surprised at the results! The above article details just some of the crucial aspects of height safety design. To those not within the height safety industry it can seem overwhelming. That's where Sayfa can step in. Our design team can assist with the supply of compliant designs for your buildings and take on the responsibility for you. Visit our FAQS page for more information on our design services. Contact us on 1300 301 755 or design@sayfa.com.au.